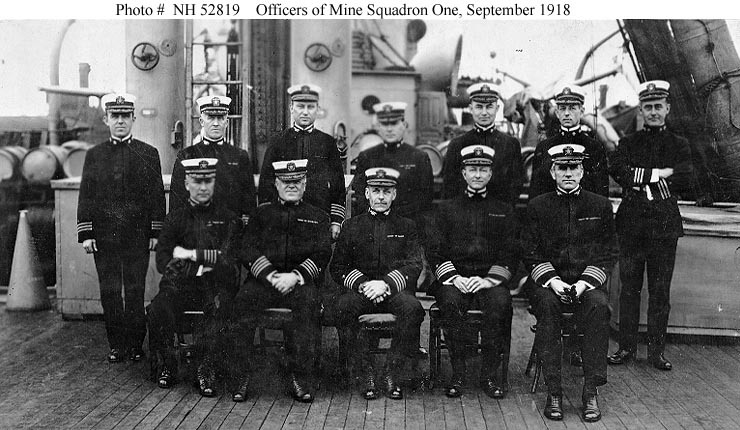 Senior officers of the squadron, photographed on board ship in the North Sea area, September 1918. Captain Albert W. Marshall, C.O. USS Baltimore. Commander Daniel P. Mannix, C.O. USS Quinnebaug.